The results are in! YALSA has announced the official titles of the 2015 Teens’ Top Ten. Teens all over the world voted starting August 15 with voting lasting through Teen Read Week™ (October 18-24, 2015). Altogether, over 27,000 votes were cast for the 24 nominees. 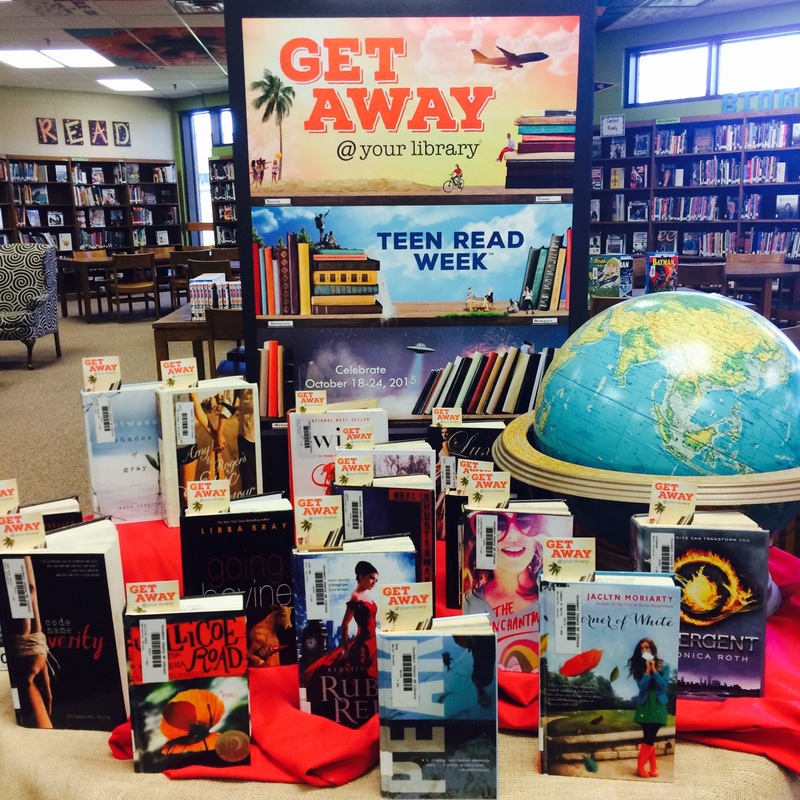 Join CavLibrary in celebrating Teen Read Week 2015: Get Away @ Your Library! Stop in each day to participate in the week’s activities. Monday: What are you reading now? Post it in the library. Tuesday: Guess how many bookworms are in the jar! Winner takes all! Wednesday: Match the Novel to its Setting Trivia. Thursday: Pumpkins and Palm Trees Pumpkin Decorating Contest Entries Due. We’re looking forward to a great week to “Get Away” @ CavLibary!